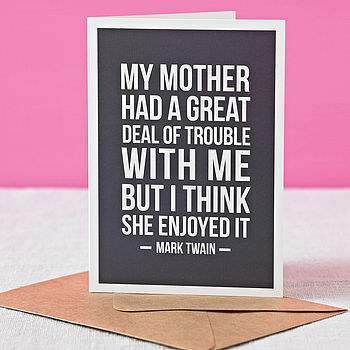 I love this quote from Mark Twain, as it sums up my childhood nicely. 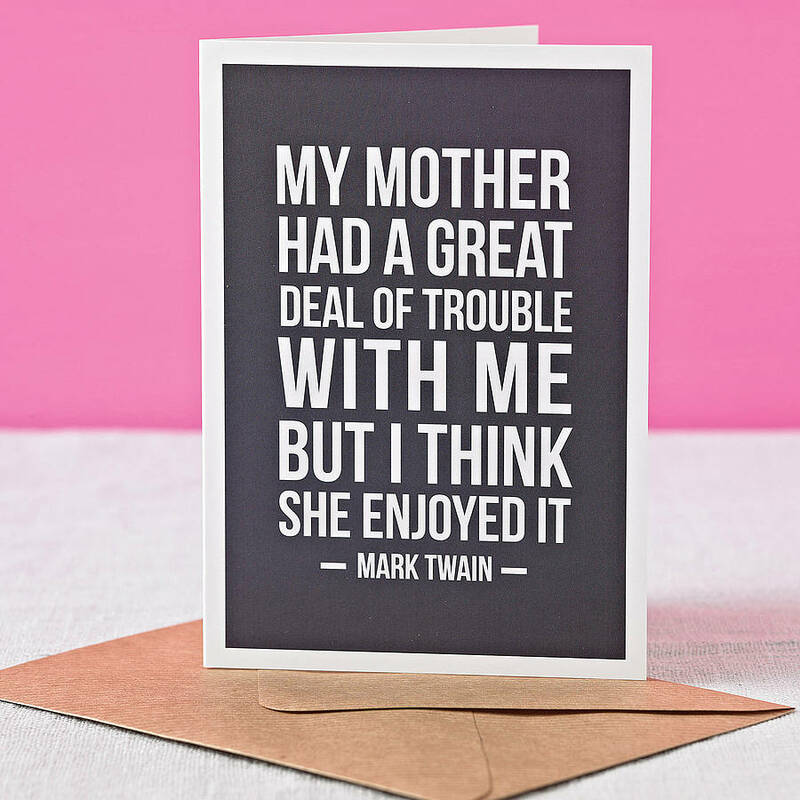 This card is perfect for Mother's Day and birthdays, or just to let your mum know you are thinking about her. 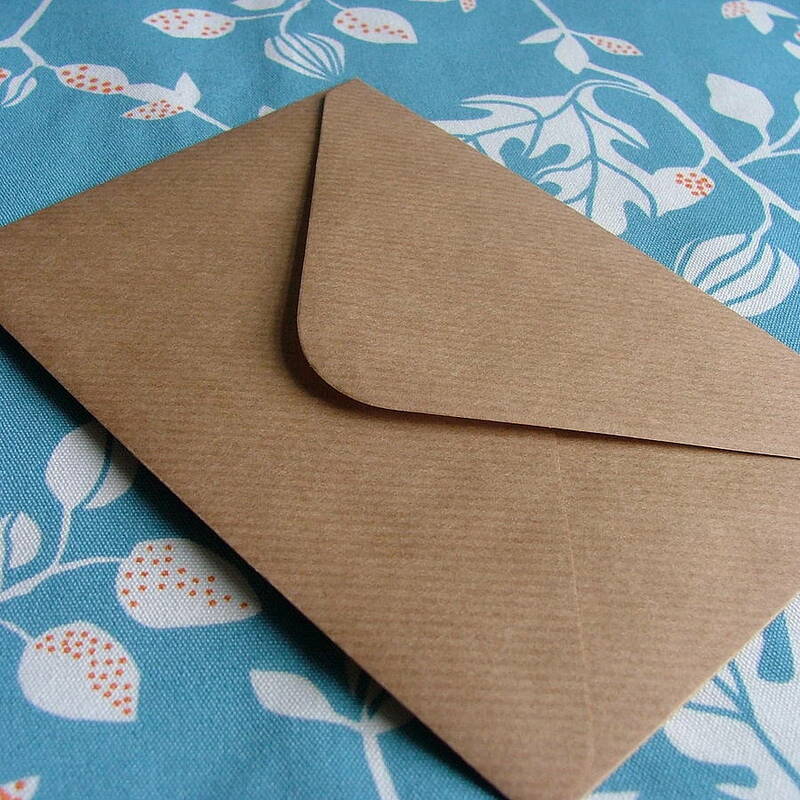 It's blank inside for your own message and comes with a recycled brown kraft envelope. Posted in rigid mailer and cello wrapped. Copyright doodlelove 2011. All rights reserved. Each card is printed on silky soft 300gsm card.